In the early days of gambling in Kenya, you needed to physically move yourself to a location where you could place your bets on gambling and casino. Today, with the development of the Internet, you can play casino online from the tip of your fingers. You can even bring the games with you and gamble on your mobile in Kenya. On the bus, at home or at your favourite café – today Kenyans can gamble everywhere. Online casino in Kenya has become big business with the impact of betting on mobile. Most of the betting and online casino in Kenya today is happening on the mobile. When it comes to the online casino scene in Africa, Kenya is one of the top casino markets. Home to 45 million citizens, Kenya boasts an advanced economy and a lot of technical innovation and startups. One of the biggest economic boosters in the country is the service industry which contributes to about 60 per cent of the total GDP. Gambling is one of the most profitable parts of the service industry. The online casino part of the gambling sector is also growing day by day. Compared to many other African countries, Kenyan online operators have a 27 per cent market cut. Compared to neighbour Uganda’s four per cent, that is very high. The mobile penetration in Kenya is also above 95 per cent in 2018. This, of course, creates a very good online casino market and parallel to technical development, Kenyans today has more money than ever before. Unfortunately, the state has proposed additional taxes on mobile transactions and on internet data services, why the recent boom in the digital market might come to a halt. In light of the chaos surrounding the taxation of gambling in Kenya, some of the larger online casino and betting operators, like SportPesa and Betika, has withdrawn their sponsorship of local Kenyan teams and leagues and instead sent their money abroad. The top reason for the online casino profitability lies in the fact that Kenya established its gambling laws back in 1966. At that time Kenya introduced the Betting Lotteries and Gaming Act. The gambling laws resulted in the establishment of the Betting Control and Licensing Board, a body that licenses and enforces all gambling regulations in the country. As a result of the favourable gambling ecosystem, the Kenyan gambling scene features 28 casinos, 3 sportsbooks, 11 bingo halls, as well as a horse racing track. All these establishments are well-regulated and licensed and land-based, most of them run by the state monopoly. But as gambling is moving online, the legislation has needed to adapt. And even if also the online casino business in Kenya to a large extent involves the state, it is a modern and well-developed online industry. The competition also creates a good environment for online casino players in Kenya and we have a lot to choose from when going online to gamble. At Africacasinos.com we pride ourselves in having the best comparison site for an online casino in Kenya. At our site, you will find the best online casinos on the market, including the best bonuses for Kenyan players as well as free spins and free bets in Kenya. We also focus on other aspects of gambling, like payment methods, customer support, and responsible gambling. Below we point out certain aspects of what to consider when choosing an online casino in Kenya. The casino jungle consists of several online casino operators that want to attract you as a player and having you stay on a site. That is of course very good for us online casino players, as that gives the operators incentives to make their offers even better. 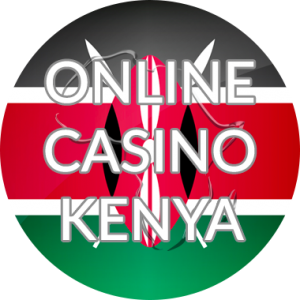 The competitive Kenyan online casino markets, with more and more operators launching their sites, has created a very good place for Kenyan online casino players. The bonuses are great at the moment as well as the operators trying to fit the experience to our needs. As a player on an online casino, you can play everything from poker and bingo to slot machines and odds, regardless of the time of day. Most online casino operators also offer sportsbetting in Kenya. Hence, you can both place your bets and play online casino on many sites. At Africacasinos we always encourage our visitors to try out at least 2-3 different online casinos. The differences between the sites are bigger than you could expect and some sites are simply not preferred by some players. But as the casino online market is big in Kenya, there is always an online casino that will suit you, we promise! One of the most important aspects of playing casino online is that you as a player feel safe and secure when depositing your money. For this reason, we are testing all online casinos you find at Africacasinos.com. For example, when we test an online casino, we consider that they have a license, a helpful customer service, and secure payment methods among many other things. Of course, a generous welcome bonus and some free spins is something welcoming for a player. Playing online should be fun and easy, so some more details we're looking at are also how big the game is and how fast you can pick up your winnings. There are several aspects of the Kenyan online casino and gambling market that affects the online betting experience. Kenyan sportsbooks and bookies are launching really good products and parallel to an increased speed of internet online casino has become a very big part of the gambling market in Kenya. Now Kenyans easily can play live casino in their mobiles. Something that was impossible a couple of years ago. Here we make a short introduction to some of the things affecting the Kenyan gambling market. In Kenya, the gambling market is not only legal but also well regulated. Kenya is a very advanced casino market when it comes to regulation, on par on what we see in other parts of the world and much more advanced then large countries like the US. As mentioned above Kenya has a long history of gambling and casino regulation. As seen in other African countries the Kenyan government has chosen the successful path of regulating, control and supervision. However, the attempt to keep the state monopoly also when it comes to online gambling has not been very successful. BetKenya, the state-run online casino and betting company was closed and the gap created was quickly filled with international bookmakers and online casinos established in other parts of the world. At Africacasinos.com, where we focus on player experience and safety, we have no problem gambling at sites that have an international license. As long as they can accept Kenyan players, have a robust and reliable license and have functional payment methods that we use in Kenya, we are ok with depositing money. And we also see a very nice and positive trend, where pure Kenyan online casinos are launching, and they are as good as the international competition. A clear focus on Kenya is always increasing the player experience. With local knowledge, the online casino product seems to become better. The Betting Control and Licensing Board is the official authority for regulating and supervising the gambling market in Kenya. They are tasked with monitoring and evaluating licenses, issue new licenses and, of course, by enforcing the market should there be any breach of the rules. The online casino market in Kenya is, however, not part of the current regulations. With the failed attempt with BetKenya of keeping online gambling as a state monopoly, Kenya has not issued specific regulation or legislation for the online part of the market. As seen in other markets online gambling regulation often takes back control of a market and generate revenue to the state purse. It also creates a better environment for us players. Both in terms of accountability and enforcement of the online casino operators, but also in terms of responsible gambling initiatives. Therefore, we at Africacasinos.com hope to see some development on the online casino and betting market in Kenya. A discussion that is very much alive in 2019. In June 2017 Kenya raised the gambling tax to 35%, that came into effect in January 2018. That was a big blow to the whole gambling industry. President Uhuru Kenyatta refused to sign the Kenyan Finance Bill which forced the MPs to agree to a 35% tax on all gambling revenue. On top of this, operators were still eligible to pay corporation tax on their profits, is an additional 30%. After the industry struggled with high taxation, the politicians came to the conclusion that the tax should decrease again in 2018. A partial tax reversion, where the gambling operator shall pay 15% tax and the players’ winnings are taxed at 20%. Still, the industry is very concerned with how effective the new tax cut will be. Many cited the player winnings tax as something that potentially would lower the interest in the market. It is becoming more common to play via the phone or tablet because it is both smooth and very accessible. There has also been a huge effort on mobile casinos and many even have their own app that you can download. You can also choose to open the casino's website directly in your mobile browser and log in as usual. Today, virtually all games and slots work as well on the mobile as on a desktop. It does not matter if you are using iOS or Android. In addition, you can handle all applicable withdrawals and deposits on the phone which is convenient because most of us currently use Mobile BankID. You also have access to customer service through a chat and, in principle, never use a desktop if you do not want to. Many casinos also have special bonuses that are only valid for the mobile, such as free spins on a selected slot. These free rounds can be sales-free, which means you can pick out everything as you win. They may also be a requirement for sales, and then you need to convert the amount a certain number of times before you are allowed to make a withdrawal. Always read the terms and conditions to see what is applicable. In 2019, we have concluded that the following things are especially important. These are the major points we consider when evaluating and rank online casinos in Kenya. We recommend that you stick to the casinos that have their base and license in Malta, UK or Curacao. These countries have gaming licenses and you are more confident then if you choose to play at an unlicensed casino. Even if they do not hold a Kenyan license (as there is none), we still think there are some of the best licenses available on the global online casino market. However, when there is no local license, the players always have a worse position than if there are local licenses issued. Therefore, it is important to choose carefully. You can always rely on that Africacasinos provides a good introduction and never highlights casinos that are known for bad player experiences. A good online casino spends a lot of time on offering generous welcome bonuses and promotions for its recurring players. A welcome bonus is a great way for you as a new player to get to know the casino and all its games. There is also a chance to win some extra money if you have the ride on your side. Many casinos also choose to have a loyalty program where you get rewards the more you play. For example, you can collect points that you can swap against different bonuses such as free spins or money. There are also casinos that have so-called VIP programs for players who are diligent visitors. Many players value a casino that has fast withdrawals and deposits. It is becoming more and more common with casinos where you actually can access your money more or less straight away after requesting a withdrawal. Of course, local payment solutions like M-Pesa, is making depositing and withdrawing easier. Smart and efficient payments are something that we will consider extra much in 2019. We are now so technologically advanced that we can expect online casinos in Kenya to provide us with the latest technology. If they don’t, we can always choose another online casino company to make our deposit to. All serious casinos value your security both when it comes to your bank details and your personal details. Many people use the latest SSL encryption, which is also in use by internet banks. Being in 2019, you can definitely expect the latest security functions. After all, it is hard earned money we are talking about. Then you deserve high-quality security. Most players also look at the range of games and appreciate a casino with hundreds of titles from different game providers. It is also important that an online casino adds its offer of new and exciting titles at least a couple of times a month to keep the offering alive with its players. There are so many great slot machines on the Kenyan market today. But not all games are for everyone. Therefore, it is good with a large variety of slots, where all players can find their favourite. Finally, an accessible customer service is available 24 hours a day to solve issues and answer questions. A good customer support shall also be able to explain bonus offerings, the latest variation in odds, etc. Online casinos today share their game offer in various departments that include poker, casino, bingo, odds and other games. If they offer poker, they usually have their own poker client that you can download to your mobile or desktop. Here you will find several different tournaments and cash tables daily. In most of them, you need to buy in for a predetermined amount. But there are also so-called free-rolls where it's free to participate. Many larger casinos have special tournaments where celebrities participate. You win a little extra money if you manage to eliminate the special star. Casino and slot machines are the most popular type of games. It is also what we at Africacasinos knows best. Most casinos online in Kenya is also very good at slots and casino games. This includes both so-called slot machines and video poker but also table games and roulette. Slot machines come in varied themes and from many different suppliers such as Playtech and Microgaming. There are also slot machines with progressive jackpots where you have the chance to win big. Table games usually include some of the most common and most popular such as roulette, blackjack, and baccarat. You can choose to play against a computer or via live casino. The gaming experience will be more personal if you play at the live casino. By playing with a real dealer via webcam the experience is greatly enhanced. Bingo is a game department that has become incredibly popular in Kenya as online casinos have grown and now you have the opportunity to play around the clock. You can choose from multiple bingo games with different types of betting and purchase price. Many of these also feature progressive jackpots that are awarded if you get a full tray within a certain number of numbers. Today you can play online casino 24 hours a day, every day. It is not only possible to play on your computer, but you can also use your mobile or tablet. The established betting and casino companies in Kenya are constantly in competition from new opponents who compete to win the players' interest. This means that as a player you can be very picky and choose the casino that best meets your needs. Whether you value great bonuses or quick withdrawals, you will find a casino that feels right for you. Many Kenyans prefer to become customers at reliable casinos that do not cheat. Kenyans also love to use well-known payment methods. That is why Africacasinos always take locality into considerations. Kenyans have different preferences than Ugandans and Nigerians, why the operators must make an effort of attracting Kenyan players. Most casinos offer a welcome bonus to their new players and here you can also choose the one that suits you best. If you are more interested in poker or odds, you can choose a bonus specially designed for these games and betting functions. If you rather play slots and table games, you should instead take a casino bonus. If you choose a larger casino, you often have access to a wider range of games and services, but it will be harder to get personalized offers. Smaller casinos are usually more focused on sending out promotions and bonuses that are especially suited to you as a player. 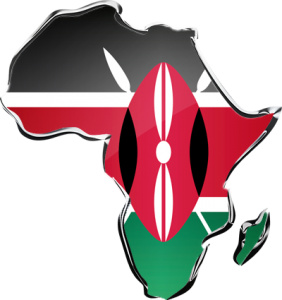 All in all, despite the turbulent political situation surrounding the online casino market in Kenya, we think that the betting and casino situation is better for Kenyan players than in many years. We are here for you. We are here to make you win big. We are here to make you understand the concepts behind different bonus awards and how to utilize them. We are also here to give you all the information you need about Kenyan online casino platforms and the different products offered on each one. All you have to do is log on to Africacasinos.com and irrespective of which page you are navigating there is always a link that will direct you to a highly recommended casino. This is one that has passed our rigorous vetting process and proved to be honest and reliable. Think of us as your insurance partner in the online casino industry. We help to ensure your win, thus insuring you against loss. Welcome to the our Kenyan site!